Today’s world is fast-paced and full of work, school, getting to the gym, and whatever other extracurriculars you can fit into your schedule. It can be hard to find the time to do things for yourself! That’s why a new year is the perfect excuse to finally focus on making some of the positive changes you’ve been putting off, like straightening your smile. 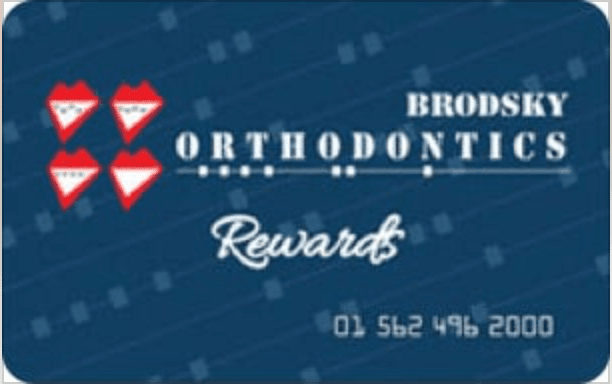 If you’re looking to take your oral health to the next level in 2019, Brodsky Orthodontics is here to help! We want to keep your teeth and gums looking and feeling great while undergoing orthodontic treatment, so we’ve put together a few of our favorite tips for keeping your smile in shape this year! Keep reading below to learn more. Even though all of us should be taking our oral health seriously, it’s even more imperative when you’re an orthodontic patient. This is especially true if you’re wearing braces! That’s because the brackets and wires create nooks and crannies that take a little more time and effort to clean thoroughly. It’s important to keep both your mouth and your appliance free of debris to avoid tooth decay, cavities, and other issues. in order to to get the best results with Invisalign. Failure to follow our recommendations may result in a longer treatment time. It can even affect the overall success of your treatment plan. Like we briefly mentioned above, traditional braces can make for more complicated hygiene sometimes, especially in the early days. The good news is, there are many products on the market designed to make the process easier, and even more efficient! One example of this is floss threaders. We love these alternatives to regular dental flossing! As the name implies, it threads a bit like a needle, and works by pulling one end of the floss through the threader, then feeding the threader under the archwire. This allows you to grab the floss on each end, sliding it up and down the sides of both teeth and under the gums for a thorough job. Interdental brushes are another easy way to keep your teeth clean if you’re in braces. The brushes fit easily in between the wires and the teeth, so they’re better able to get rid of plaque and food debris in areas that can be hard to reach. Oral irrigators like Waterpiks clean similarly by shooting a targeted, high-pressure stream of water onto the teeth. This helps to remove any remaining food debris and plaque stuck between your teeth and braces. Even though these products can be a useful part of caring for your teeth and gums, you shouldn’t use any of them in place of your normal oral hygiene routine. They’re for supplemental use, and work best when they’re being used in conjunction with regular brushing and flossing. In an ideal world, our patients would brush and floss after every meal, but we know that’s not always realistic! If you’re on the go often, or for an extended period of time, it’s a good idea to anticipate the need for care on the go ahead of time. Stock a small bag with toothpaste, an orthodontic toothbrush, and floss. If you’re in braces, it’s smart to add some orthodontic wax, too. This way you’ll always have a quick fix with you in case any minor emergencies pop up! At Brodsky Orthodontics, we have a talented team committed to giving you an aligned smile and rewarding experience. But our care doesn’t stop there! We’re also invested in increasing your oral health and your overall health. The simple tips above give you a great start on that, but if you need a little extra help or encouragement, we’re here for that, too. We’re looking forward to working with you this year towards giving you the beautiful smile you want – and the healthy smile you deserve!